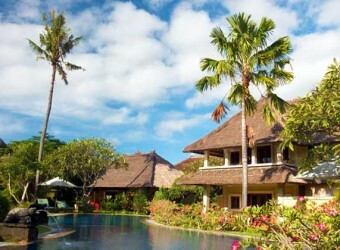 Hotel Rumah Bali with concept of "Bali Village" offers 16 traditional Balinese style villas in a vast area. You can also make a party with catering from a popular restaurant of Bumbu Bali. It might be because the villa location is secluded and tranquil, I could enjoy very much a relaxing time. I think it got higher level with three of ☆. Satisfaction ☆+1 is hard!